I have this lip balm I bought at the local co-op that is an intriguing flavor. It is chocolate lavender lip balm from Dagoba. 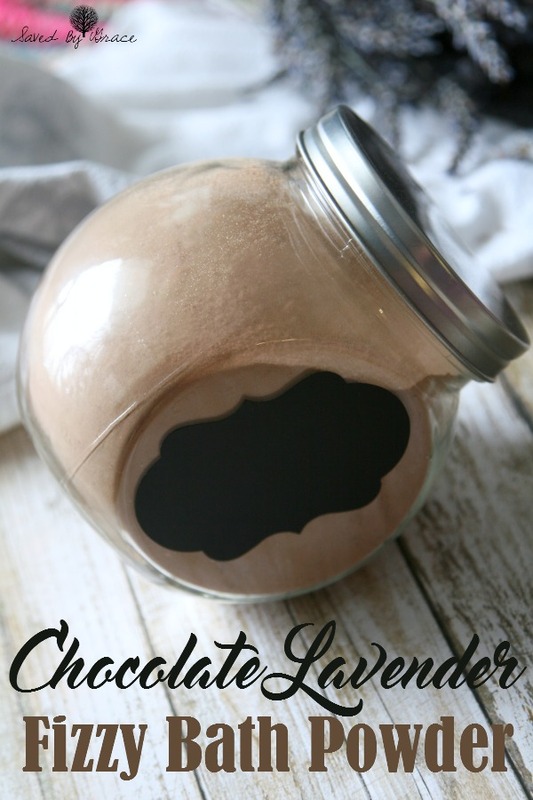 At first, I thought this would be a scent I would not enjoy, but oddly enough not only do I enjoy it, but its mellow as well and can be great as a relaxing scent. 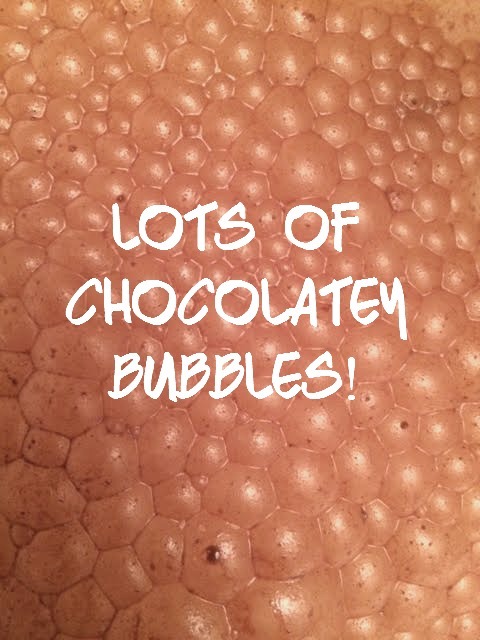 When I started to think about relaxing and how I could use this scent I thought about bath bombs, but to be completely honest, I don’t have time to make bath bombs right now and still wanted to get that fun fizz that they have. 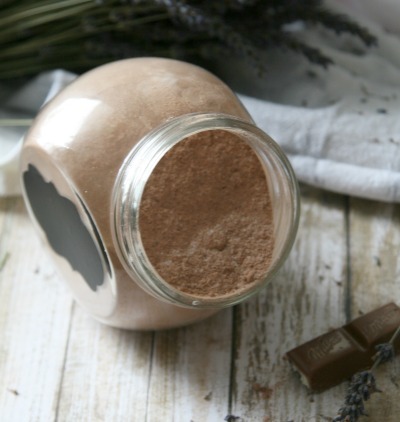 This is when I came up with essentially a deconstructed version of bath bombs in this DIY Chocolate Lavender Fizzy Bath Powder. 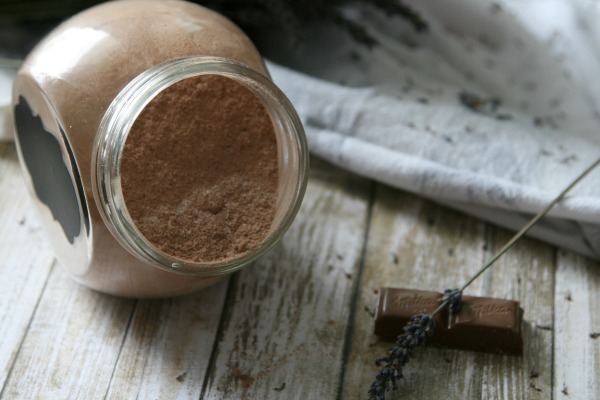 This DIY Chocolate Lavender Fizzy Bath Powder not only smells phenomenal and is fun to make, it has some good benefits for your skin as well. The baking soda will help with detoxifying. The Epsom salts are great for sore muscles. 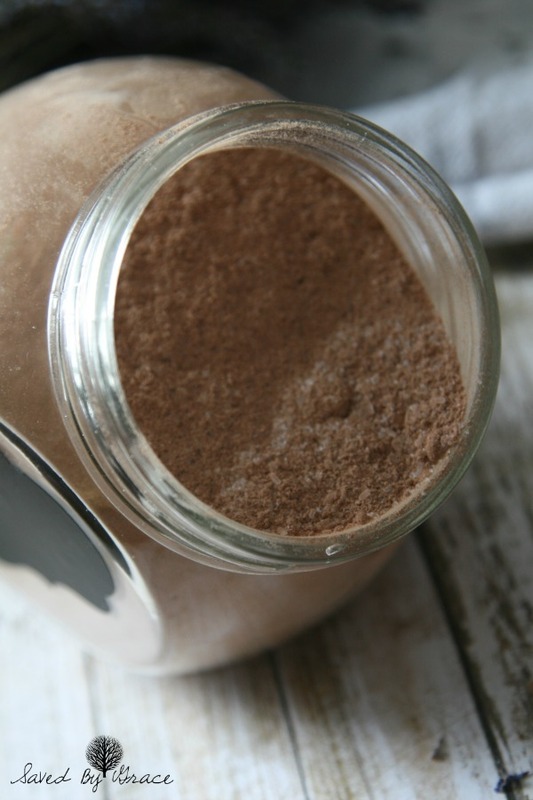 Raw cocoa powder has been shown to have so many antioxidants that it can be good for helping to detox as well. The citric acid is basically pure vitamin C! Mix together the baking soda and Epsom salt. Pour the citric acid over the the side and add the drops of essential oil onto the side WITHOUT the citric acid. This is important because if you add the oil on top of the citric acid you risk making it lose fizziness. Top with the cocoa powder and mix well. Store in an air tight container. Simply add 1/2 cup to a bath when you have filled the tub. Mix it in by sprinkling it around. It will fizz at first, then stop. This is normal as the fizziness runs out. Lay back and relax! This can be fine for kids, but they shouldn’t ‘drink’ the water that it’s in. They won’t want to once they taste it if some accidentally gets in their mouth as it actually tastes terrible despite smelling great. Make sure to rinse your tub well after baths with this as it could stain if left too long to dry.